Brothers from every Lodge in District 18 and one Lodge in District 19 gathered this morning at Hershell Freeman’s farm for the purpose of conferring the Sublime Degree of Master Mason on 8 Fellow Craft Brothers, including Brother Sammy Meyerratken of Elvin E. Helms No. 926. Most Worshipful Grand Master Cloyd J. Bumgardner presided over the first section, assisted by Right Worshipful Deputy Grand Master Todd Jones, Right Worshipful Grand Junior Warden Gary Rose, Grand Senior Deacon Craig Lindon, and Grand Marshall Denver Rose. Our Grand Lodge Officers did an impressive job. Most Worshipful Grand Master, Right Worshipful Elected Grand Lodge Officers, and Worshipful Appointed Grand Lodge Officers — we thank you all for being with us this morning and for your excellent work! Worshipful District Deputy Grand Master Dan Kemble, District 18, Grand Lodge of Kentucky assembled and directed an all-star cast to portray The Legend of the Temple. 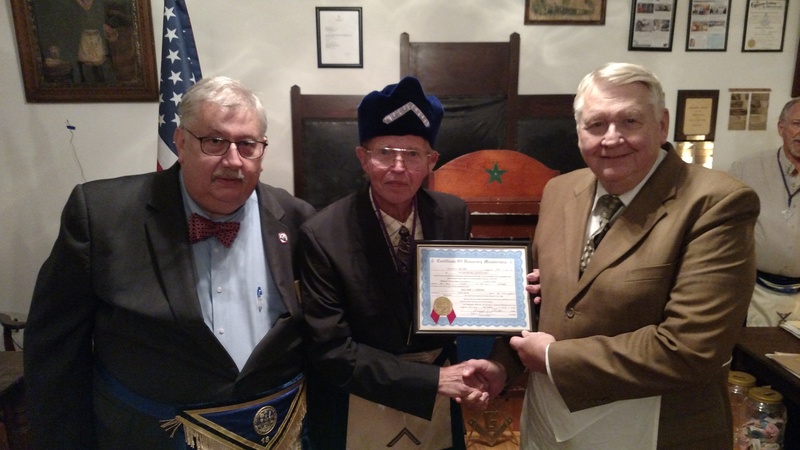 The Master Mason Slide Lecture was given by Brother Owen Huff of Colonel Clay No. 159. 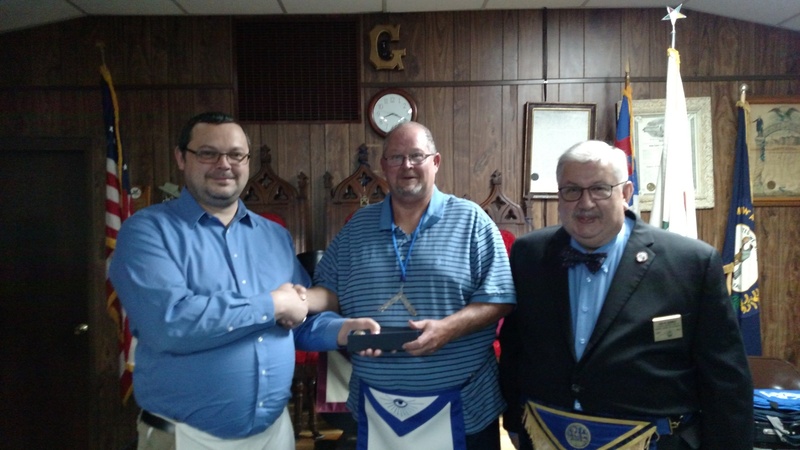 The GHS and MMWoD Lecture was given by Worshipful Brother Ken Rodgers of Golden Rule-Covington No. 109. 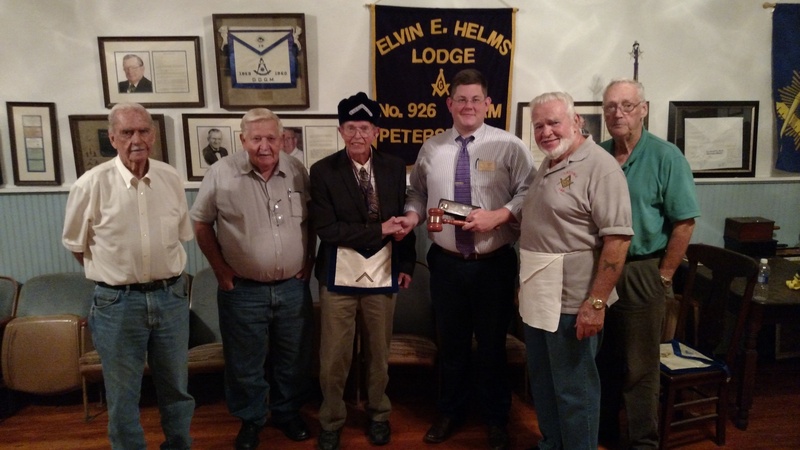 The Master Mason Charge was given by Worshipful Brother Adam Gross of Elvin E. Helms No. 926. The Address was given by Worshipful Brother Ed Tanner of Elvin E. Helms No. 926. The Canadian Charge was given by Worshipful Brother Mel Kinser of Elvin E. Helms No. 926. After comments by our newly Raised Brothers and those in attendance the floor was given to our Worshipful District Deputy Grand Master Dan Kemble, District 18, Grand Lodge of Kentucky for his closing remarks, during which he was presented with an Honorary Membership to Bradford No. 123. Elvin E. Helms No. 926 was closed in peace and harmony at 4:00pm. 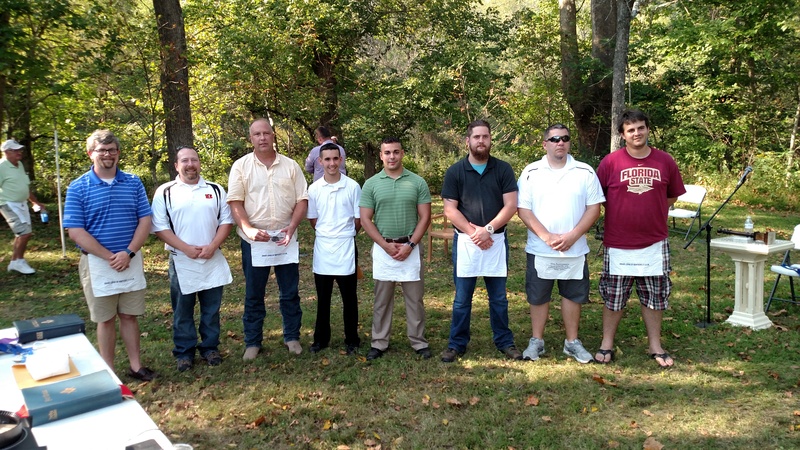 Our eight newly Raised Master Masons. Left to right, they are: Adam Larkin, Boone-Union No. 304; Adam Neace, Bradford No. 123; Kent Means, Bradford No. 123; Matthew Waters, Alexandria No. 152; Sammy Meyerratken, Elvin E. Helms No. 926; Hampton Quigley, Golden Rule-Covington No. 109; Brian Carroll, Good Faith No. 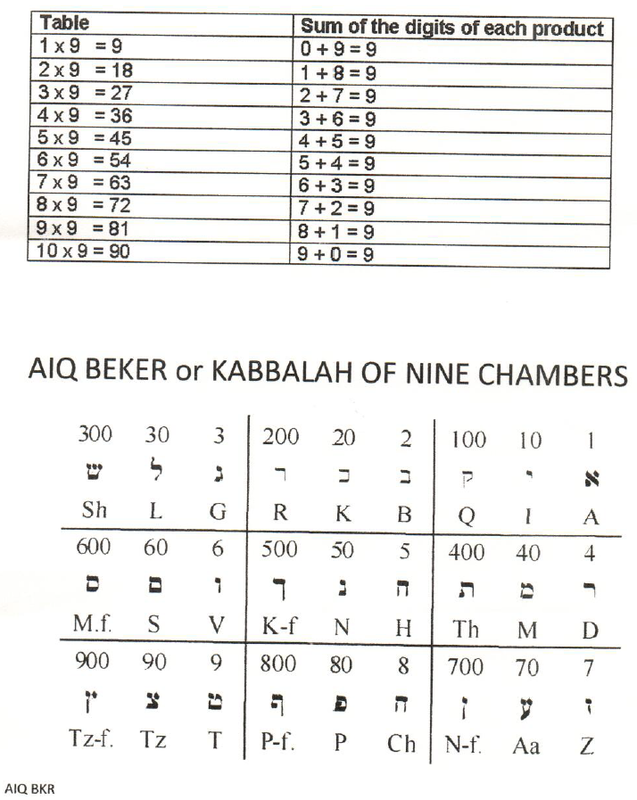 95; and Kevin Surface, Golden Rule-Covington No. 109. Our Worshipful District Deputy Grand Master shortly after being presented with his Honorary Membership to Bradford No. 123. The Brothers of Elvin E. Helms No. 926 met again in Stated Communication for a busy and productive evening of Masonic Brotherhood. The first order of events this evening was to hear the Fellow Craft Proficiency of Brother Sammy Meyerratken. 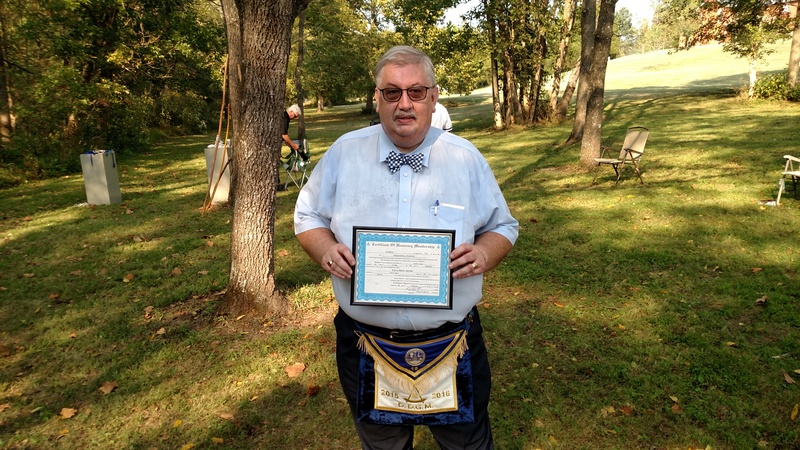 To the expectations of everyone present Brother Sammy did a fantastic job and is now officially eligible to participate in the District 18 Outdoor Master Mason Degree which will be held on Saturday, September 24 beginning at 10am at Hershell Freeman’s farm, located at 440 Ripple Run Road, Verona, KY. As an added bonus, the Grand Officers of the Grand Lodge of Kentucky will be conferring the first section. 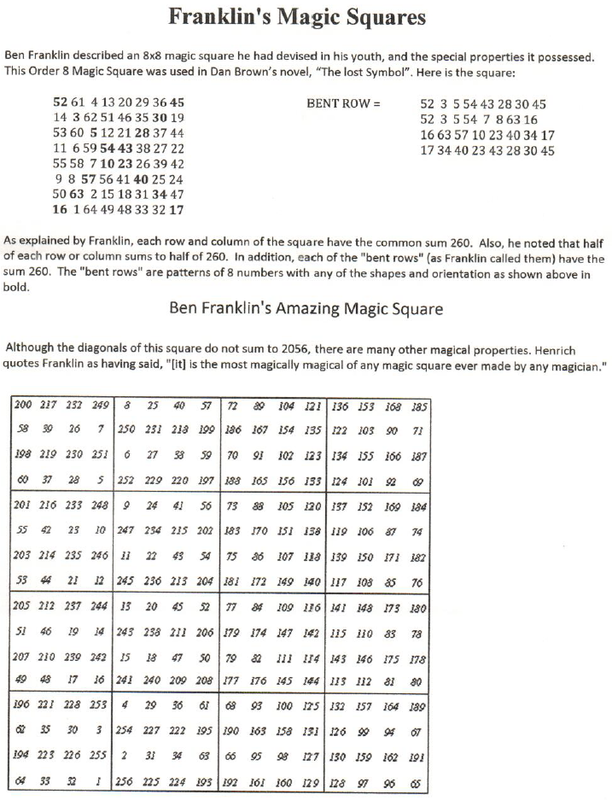 Next, we were honored to have Illustrious Brother Bill Lorenz give his presentation on Magic Squares and Magic Numbers for our educational program. 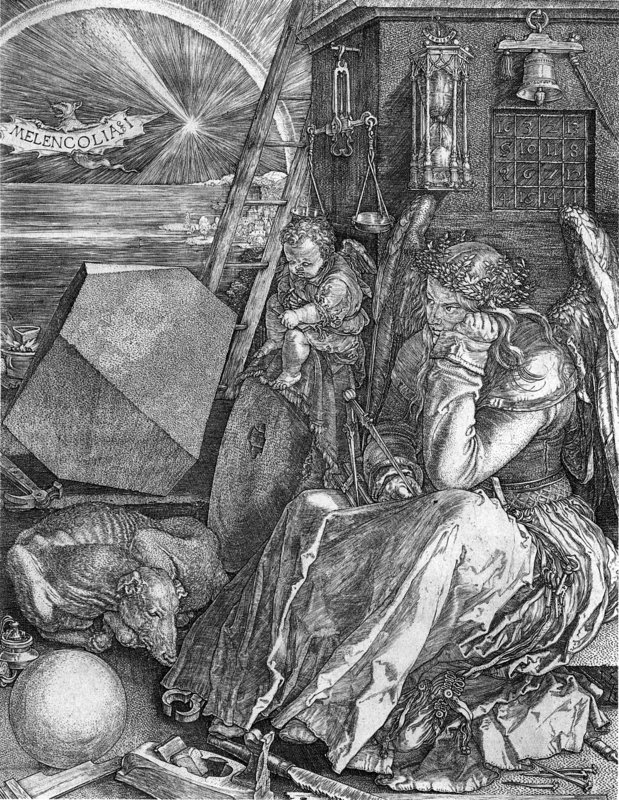 Page 1 – Melencolia I is a 1514 engraving by the German Renaissance master Albrecht Dürer. It is an allegorical composition which has been the subject of many interpretations. One of the most famous old master prints, it has sometimes been regarded as forming one of a conscious group of Meisterstiche (“master prints”) with his Knight, Death and the Devil (1513) and Saint Jerome in his Study (1514). Following his presentation, the Brothers of Elvin E. Helms No. 926 had a presentation to make of our own. Illustrious Brother Bill Lorenz was made an honorary member of our Lodge. Pictured above, left to right: Dan Kemble, District Deputy Grand Master, District 18, Grand Lodge of Kentucky; Ernie Stratton, P.M., Master; Illustrious Brother Bill Lorenz. Pictured above, left to right: Ernie Stratton, P.M., Master; Bob Bradford, P.M.
Worshipful Brother Bob Bradford submitted a Petition for Affiliation at our August Stated Communication. 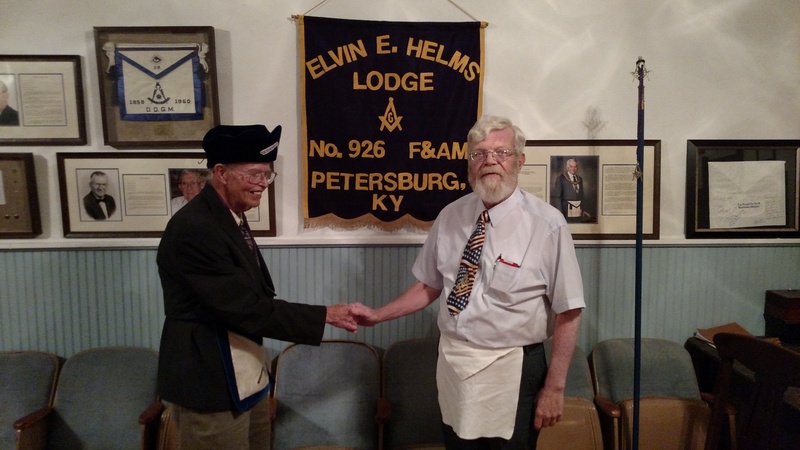 At tonight’s Stated Communication he was elected unanimously to membership at Elvin E. Helms No. 926. Brother Bob, we’re looking forward to putting you to work! We are half way to our goal for the Kelly Elementary Christmas Fund. Keep up the great work Brothers, but remember time is running out. If you like to support this annual charity of our Lodge, please contact our Secretary, Worshipful Brother Ed Tanner by clicking here. Pictured above, left to right: Vern Gregory; Tom Roundtree; Ernie Stratton, Master; Brad Drew, Master of Latonia No. 746; Chuck Yokum; and Ira Brockman. Not pictured: Lee Onkst. Last but not least, the Brothers from Latonia No. 746 visited with us this evening to claim the traveling gavels. 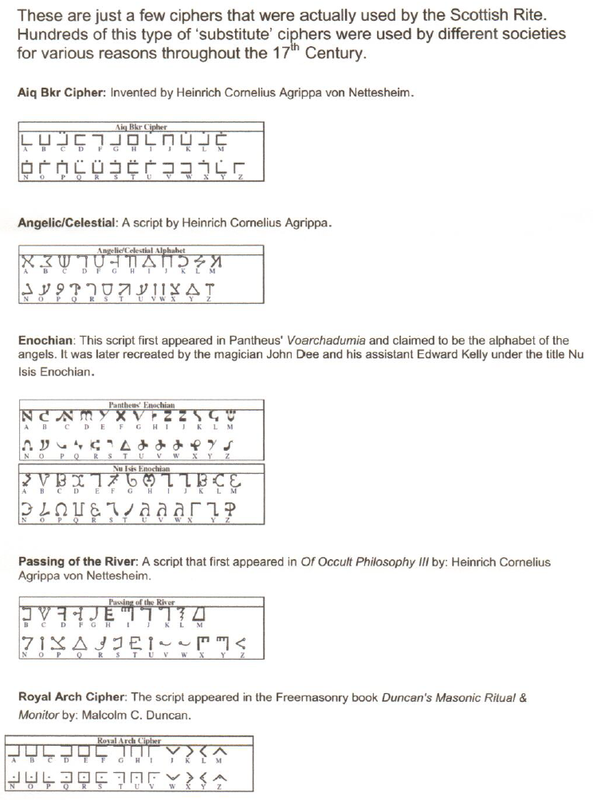 They had six members present in total, four of them Scottish Rite Masons as well. If you would like to claim the District 18 Traveling Gavel or District 18 Scottish Rite Traveling Gavel for your Lodge, they can be claimed at the next Stated Communication of Latonia No. 746 on Thursday, October 6. Latonia No. 746 serves a fellowship meal at 6:30 with their Stated Communication following immediately at 7:30. 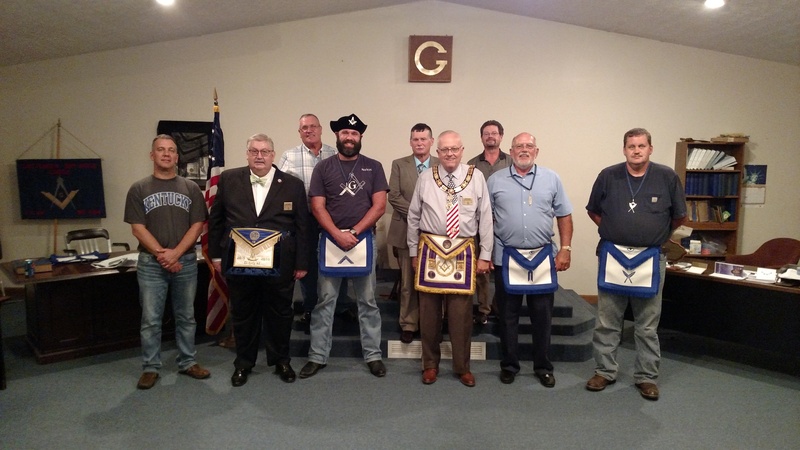 Pictured above, left to right: Greg Bowen, Treasurer; Dan Kemble, District Deputy Grand Master, District 18, Grand Lodge of Kentucky; Louis Fields, P.M., Chaplain; Jacob Fields, Master; Darren Wilson, Masonry Matters Committee, Grand Lodge of Kentucky; Bobby Griggs, Grand Junior Deacon, Grand Lodge of Kentucky; Calvin Crupper; Chuck Givin, P.M.; Robby Ratliff, Secretary. Brothers from Elvin E. Helms No. 694 visited Crittenden-Dry Ridge No. 694 in Stated Communication for a special occasion. Worshipful Brother Bobby Griggs, Grand Junior Deacon, Grand Lodge of Kentucky was in attendance to present the 400th Kentucky Mason to pass the Constitution Quiz, District 18’s own Worshipful Brother Chuck Givin, with his Constitution Scholar’s lapel pin. Brother Griggs noted that the level of participation in this program has far surpassed what had been hoped for and as a result we can all expect a new Constitution Quiz for the 2016-2017 Masonic year. Congratulations to all of our Constitution Scholars! Pictured above, left to right: Adam Gross, P.M., Senior Deacon; Worshipful Master Andy Canafax of Grant No. 85; and District Deputy Grand Master, District 18, Grand Lodge of Kentucky, Worshipful Brother Dan Kemble. Two Brothers from Elvin E. Helms No. 926 visited Grant No. 85 at their September Stated Communication and left with the District 18 Scottish Rite Traveling Gavel. We are now in possession of this gavel as well as the District 18 Traveling Gavel. Both will be up for grabs at our next Stated Communication which is this coming Tuesday, September 13. We serve a fellowship meal at 6:30pm, second only to the meals served by the Brothers at Wilmington No. 362, followed by our Stated Communication at 7:30pm. In addition to the great food and two gavels up for grabs we have an excellent Masonic education program lined up. 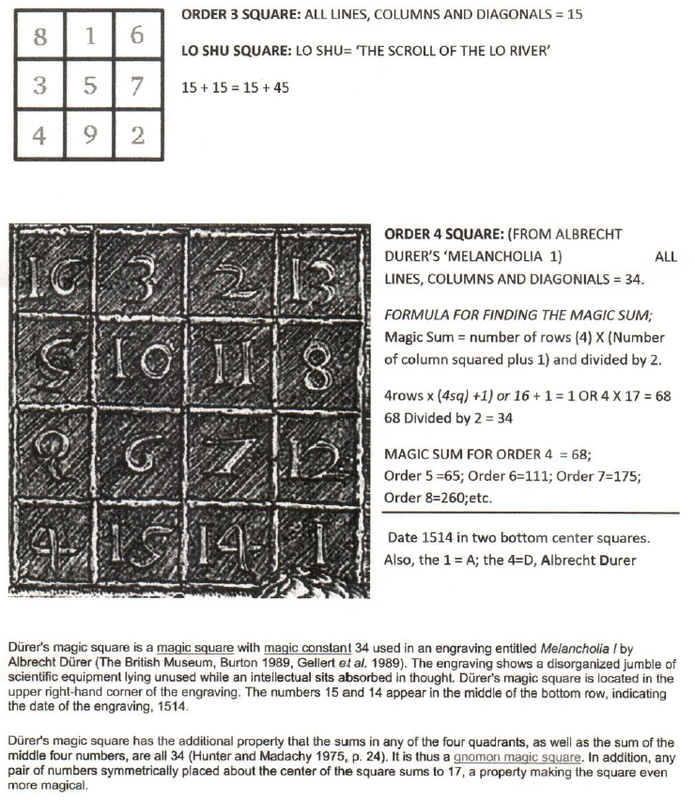 Our guest speaker for the evening will be Illustrious Brother Bill Lorenz who will be presenting on the topics of Magic Squares and Magic Numbers. Two Brothers from Elvin E. Helms No. 926 accompanied our District Deputy Grand Master for District 18, Worshipful Brother Dan Kemble, to Hebron No. 757 for their September Stated Communication. As usual, a great time was had by all. Also in attendance were Worshipful Brothers Bill and John Dettor. Brother John Dettor, the Masonic Homes of Kentucky Ambassador to District 18, gave us a brief update on the goings-on at the Masonic Homes of Kentucky campuses and made a presentation to Worshipful Master James Phillips. 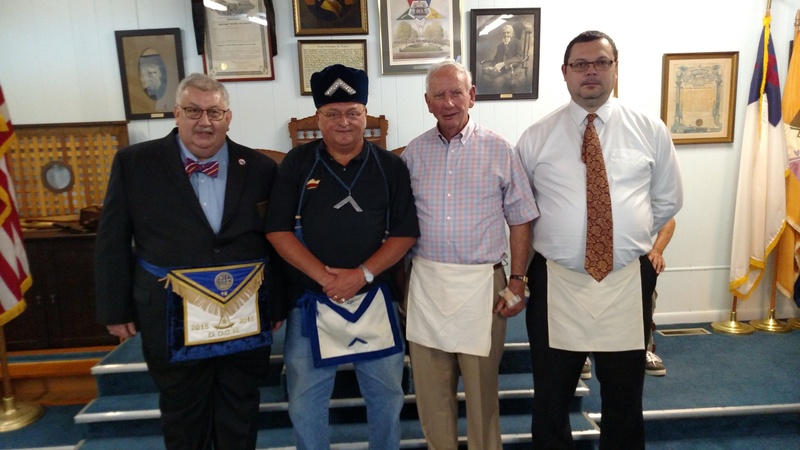 Pictured above, left to right: Dan Kemble, District Deputy Grand Master, District 18, Grand Lodge of Kentucky; Worshipful Master James Phillips, P.M.; Mel Kinser, P.M., Chaplain; Adam Gross, P.M., Senior Deacon.